SD Burman scores from the late 60s to early 70s; it is often tempting to suspect some participation on the part of his son. 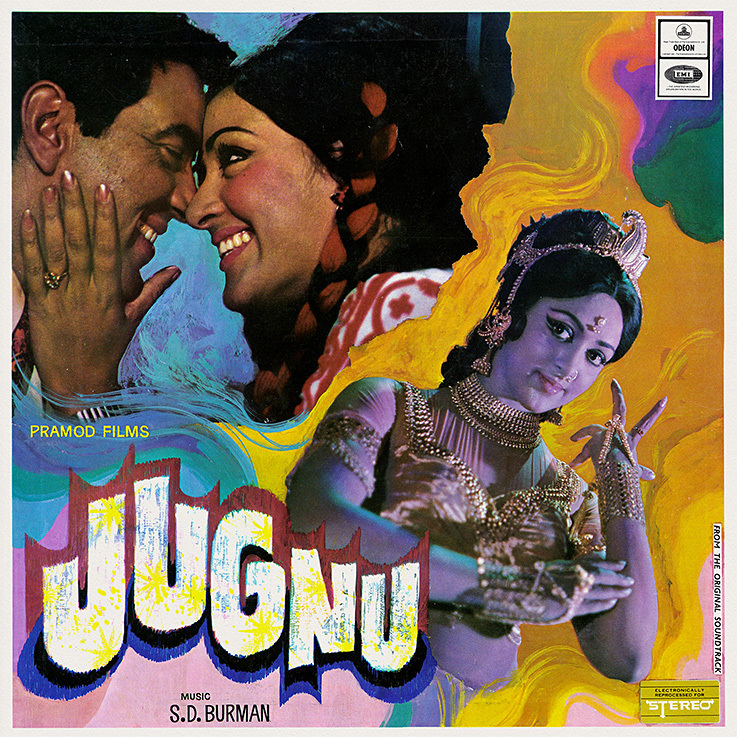 I haven't found evidence of any direct involvement from Rahul Dev on 'Jugnu' [review]  yet this soundtrack is full of songs that could have been written by the younger music director. Really good songs at that; poppy, upbeat and forward looking. 'Jane Kya Pilaya Tune', 'Gir Gaya Jhumka' and 'Tera Peechha Na Chhodunga' are all cases in point; they're bright and melodious and instantly memorable. The enticing 'Meri Payaliya', with fewer Western touches than the above, sounds wonderfully seductive; Hema Malini looks ravishing in the song's picturization. 'Jugnu Chamke' is driven by a heavy and incessant beat, punctuated with great instrumental details; 'Deep Diwali Ke Jhuthe' is a charming kid's song. Pushing 70, Sachin Dev was in 1973 as relevant as ever. Fab soundtrack and excellent rip as alwyas. Thanks PC.